The idea that light has momentum is not new, but the exact nature of how light interacts with matter has remained a mystery for close to 150 years. New research from UBC's Okanagan campus, recently published in Nature Communications, may have uncovered the key to one of the darkest secrets of light. Johannes Kepler, famed German astronomer and mathematician, first suggested in 1619 that pressure from sunlight could be responsible for a comet's tail always pointing away from the Sun, says study co-author and UBC Okanagan engineering professor Kenneth Chau. It wasn't until 1873 that James Clerk Maxwell predicted that this radiation pressure was due to the momentum residing within the electromagnetic fields of light itself. "Until now, we hadn't determined how this momentum is converted into force or movement," says Chau. "Because the amount of momentum carried by light is very small, we haven't had equipment sensitive enough to solve this." Now, technology has caught up and Chau, with his international research team from Slovenia and Brazil, are shedding light on this mystery. To measure these extremely weak interactions between light photons, the team constructed a special mirror fitted with acoustic sensors and heat shielding to keep interference and background noise to a minimum. They then shot laser pulses at the mirror and used the sound sensors to detect elastic waves as they moved across the surface of the mirror, like watching ripples on a pond. 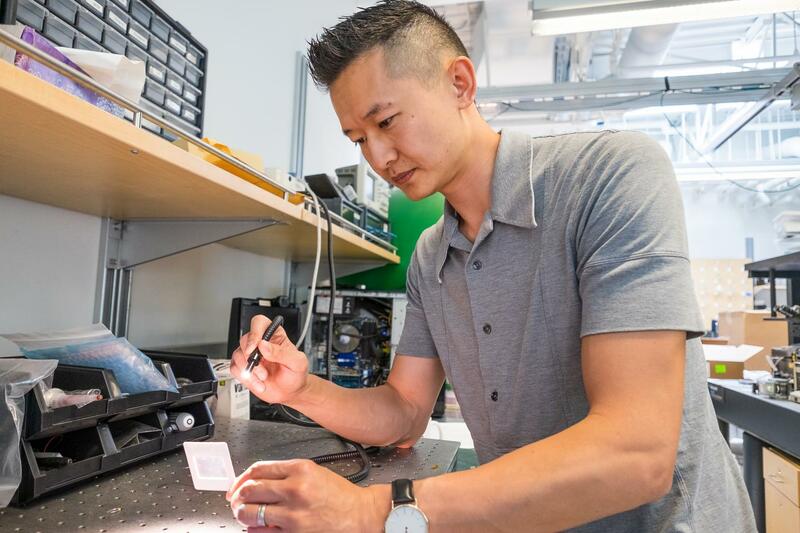 "We can't directly measure photon momentum, so our approach was to detect its effect on a mirror by 'listening' to the elastic waves that traveled through it," says Chau. "We were able to trace the features of those waves back to the momentum residing in the light pulse itself, which opens the door to finally defining and modelling how light momentum exists inside materials." The discovery is important in advancing our fundamental understanding of light, but Chau also points to practical applications of radiation pressure. "Imagine travelling to distant stars on interstellar yachts powered by solar sails," says Chau. "Or perhaps, here on Earth, developing optical tweezers that could assemble microscopic machines." "We're not there yet, but the discovery in this work is an important step and I'm excited to see where it takes us next." The study was published on August 21 in Nature Communications with funding from the Natural Sciences and Engineering Research Council of Canada, the Slovenian Research Agency, CAPES, CNPq and Fundação Araucária.